GREAT LOCATION! Easy commute to Huntsville, Madison and Athens - if you are here you are close! Desirable open concept plan makes entertaining family and friends a breeze. Enjoy gatherings in the Family room around the cozy fireplace. Kitchen features stacked cabinetry with wrap around bar that overlooks to dining and Family rooms. Main level Master with ensuite bath - your own private retreat! 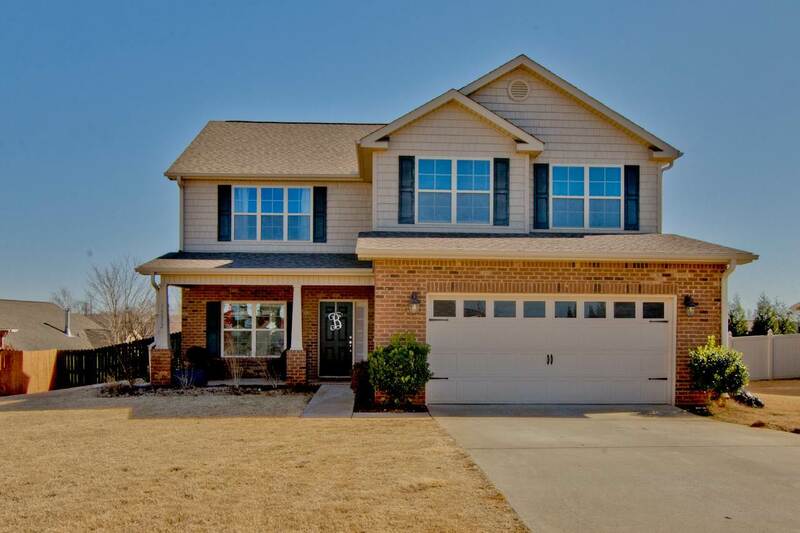 Additional four bedrooms and bonus room allow space for everyone! Tucked away is a private office - great for work or study time! Take to the outdoors within the privacy fenced yard. A spacious patio with dining/grilling area awaits! Come HOME - everything you are LOOKING for is here!